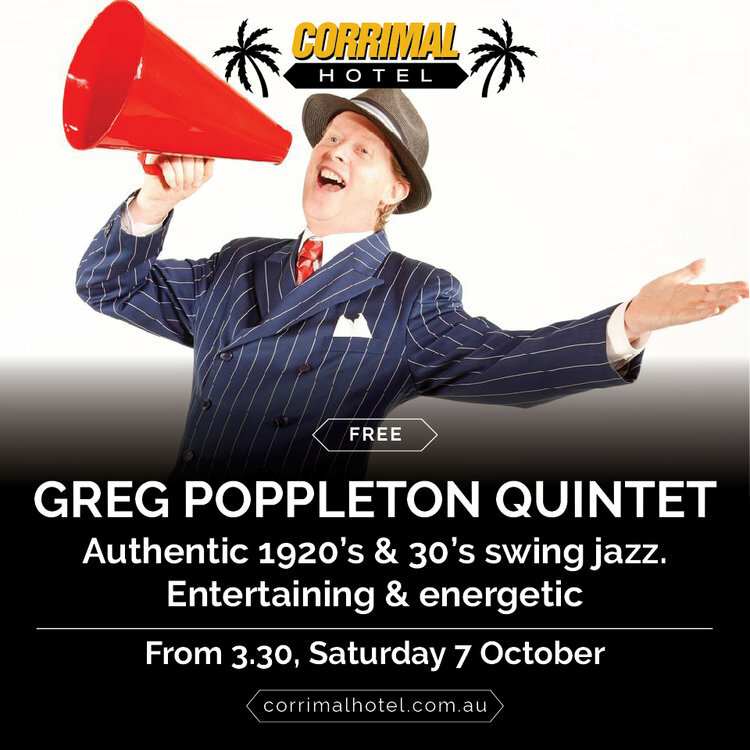 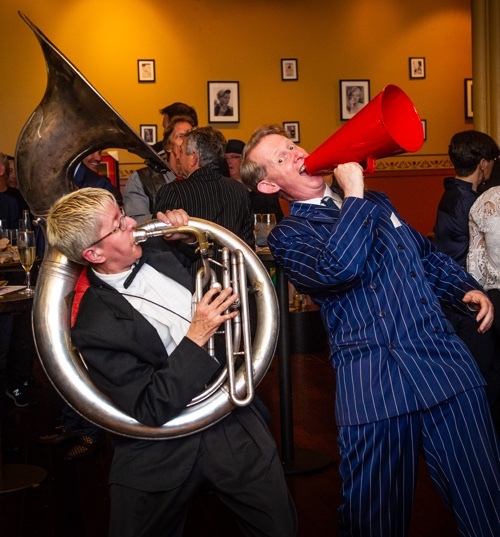 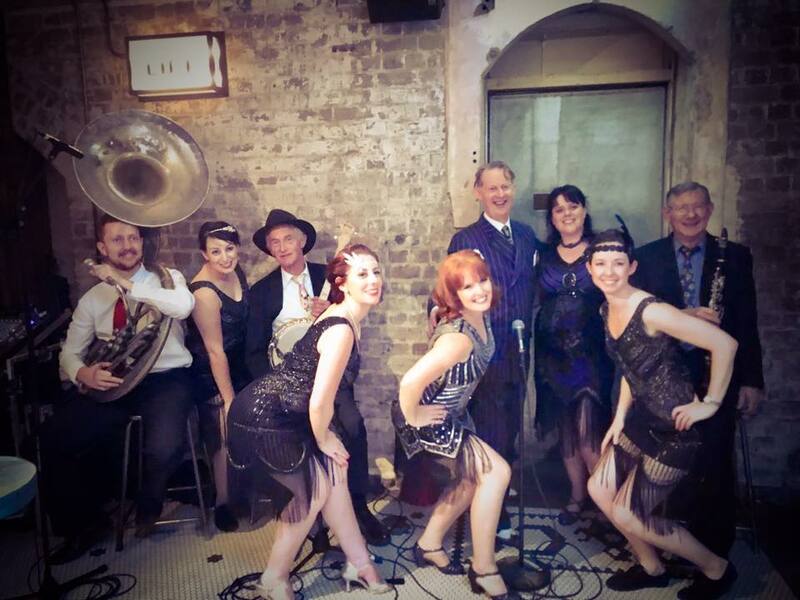 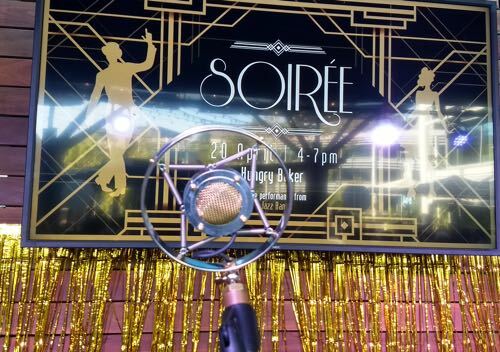 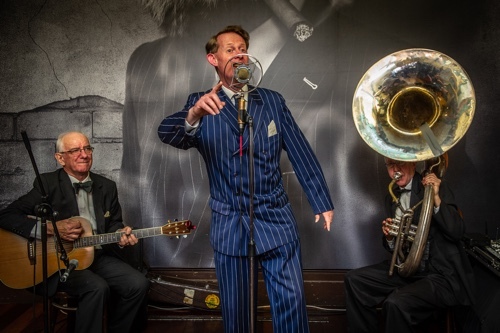 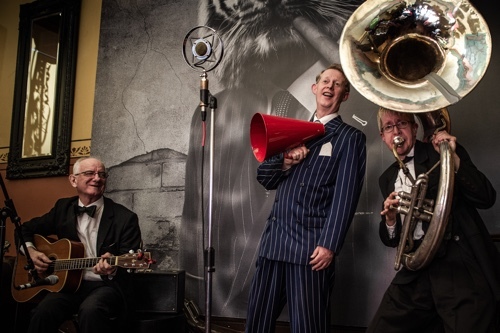 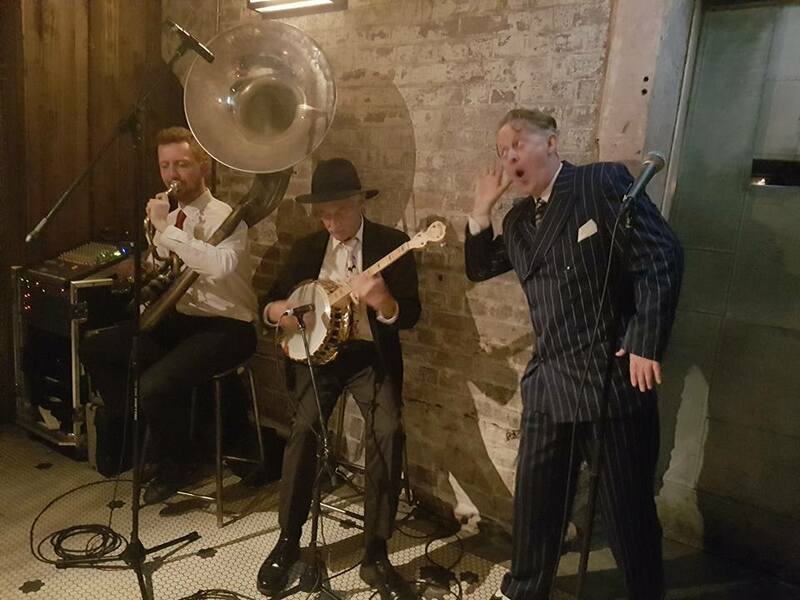 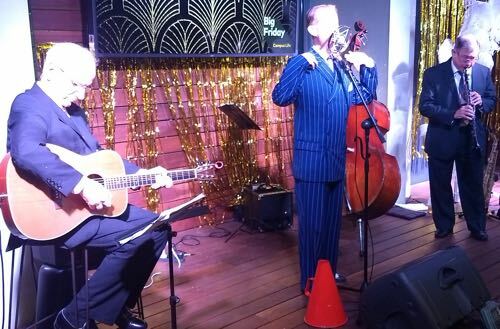 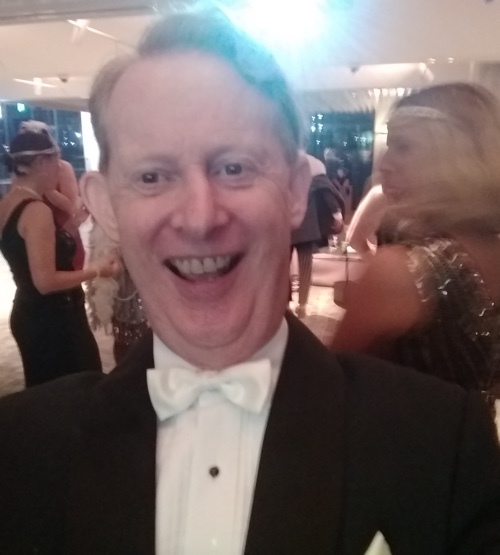 It was Great Gatsby party time with Australia's only authentic 1920s-30s singer, Greg Poppleton, his Jazz Deco band, the All About Swing dancers and more. 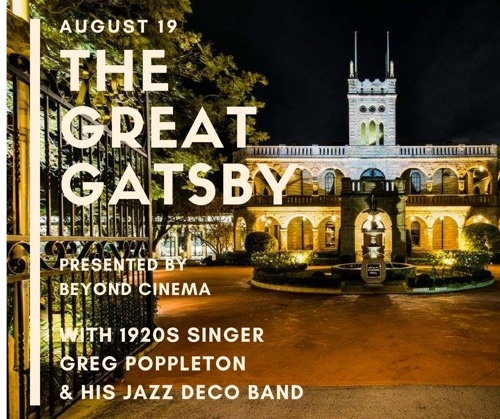 Held in an exclusive mansion, Beyond Cinema, hosted a screening party featuring Baz Luhrmann’s 2013 film of the 1920s F Scott Fitzgerald novel, The Great Gatsby. 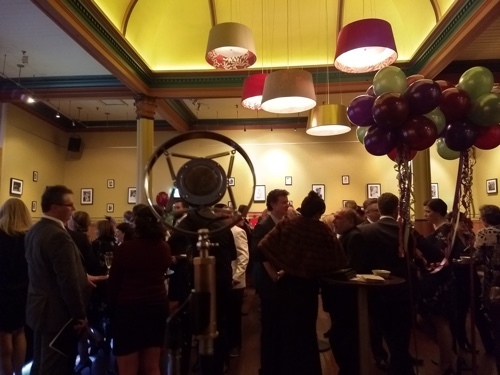 Before arrival, all 800 attendees were assigned a character for the evening with a dress code to suit. 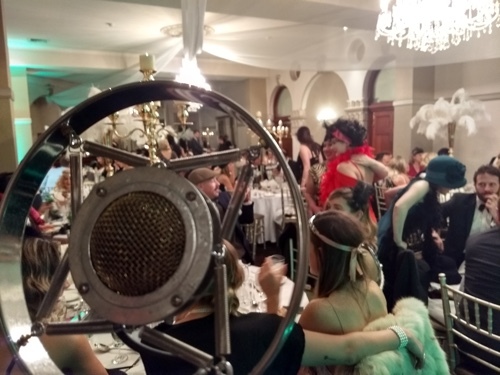 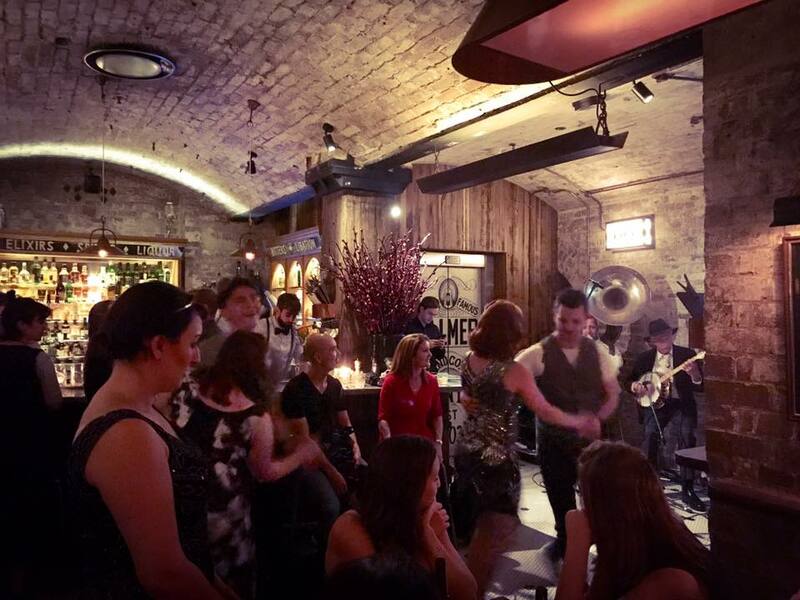 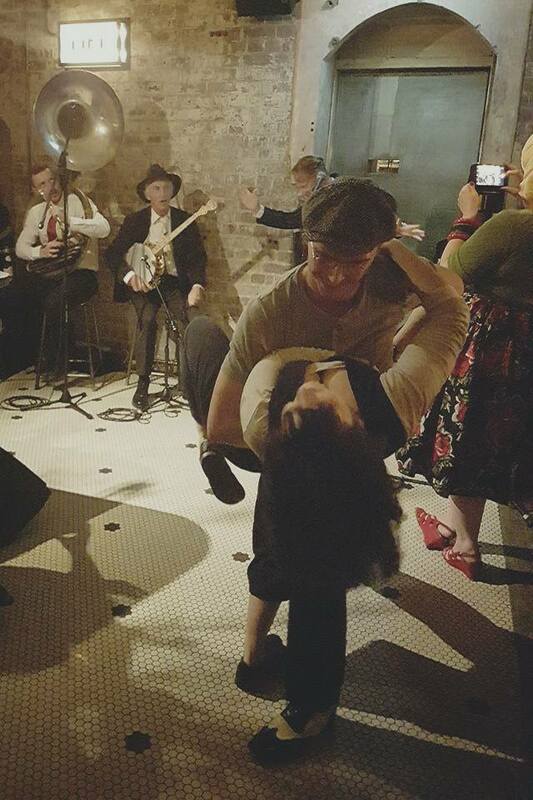 Aden and Carly-Anne from Beyond Cinema know how to throw a bash, with secret rooms and gardens to explore along with dancers, jazz and fireworks to get you into the Jazz Age action. 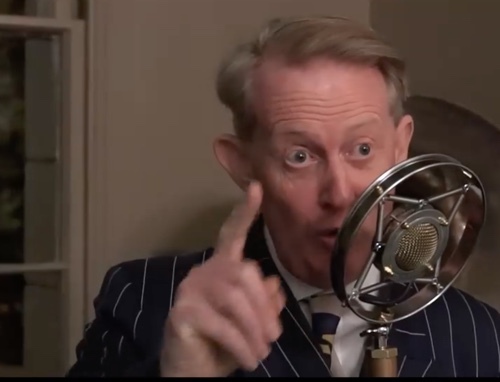 There was a selection of dining packages in different rooms of the mansion, with Greg Poppleton entertaining in Jay Gatsby's own massive dining room. 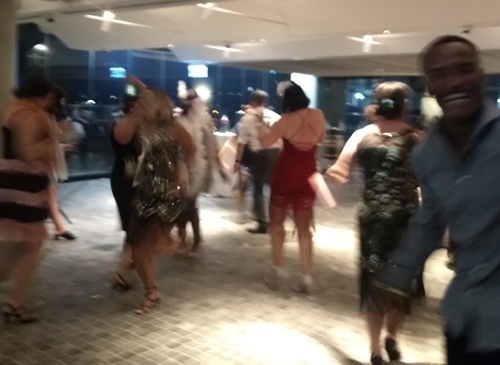 And there was four hours of unlimited booze and not a drunk in the joint. 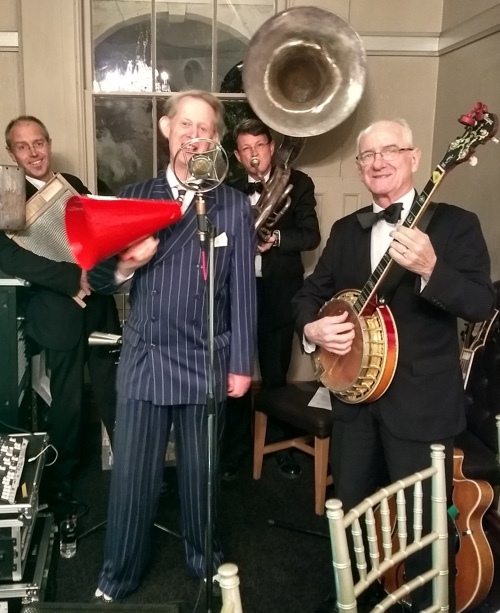 In the grand banquet hall, Greg Poppleton sang three songs from his forthcoming album which will be on Bandcamp late in 2018. 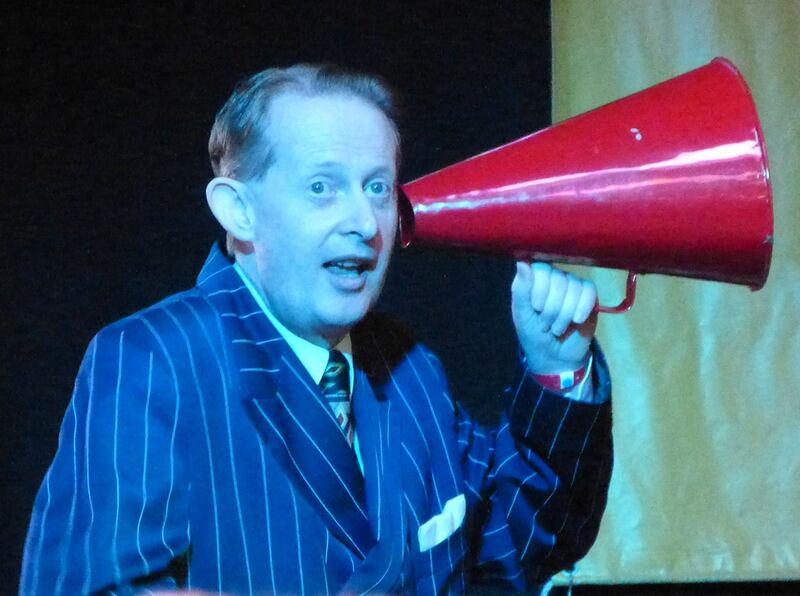 Greg began by racing through the crowd looking for his 'Five Foot Two Eyes of Blue'. 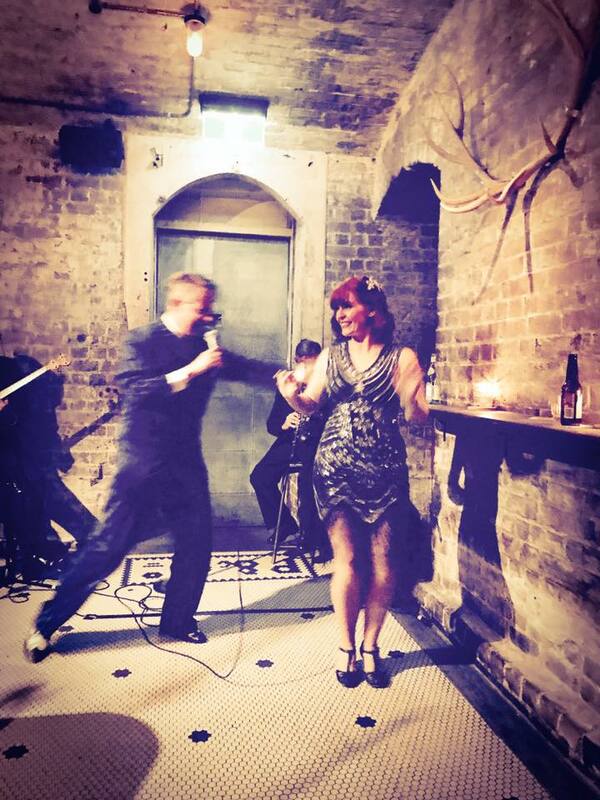 Then came the blues plaintive, Sugar. 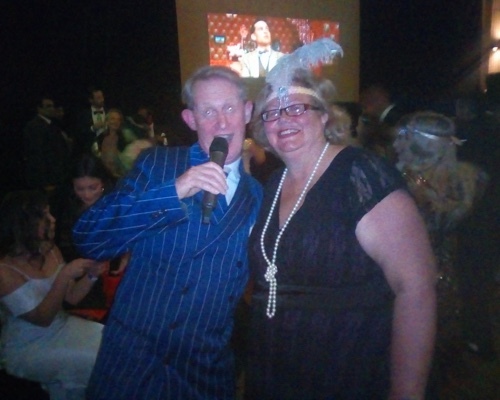 Here's Greg snapped singing Sugar to Lesley downloaded from her Facebook review of the night. 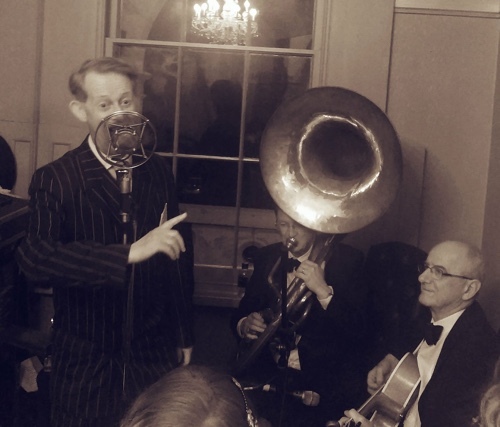 Shortly after this a clapping circle formed around Greg while he was Singing in the Bathtub, certainly not all alone.